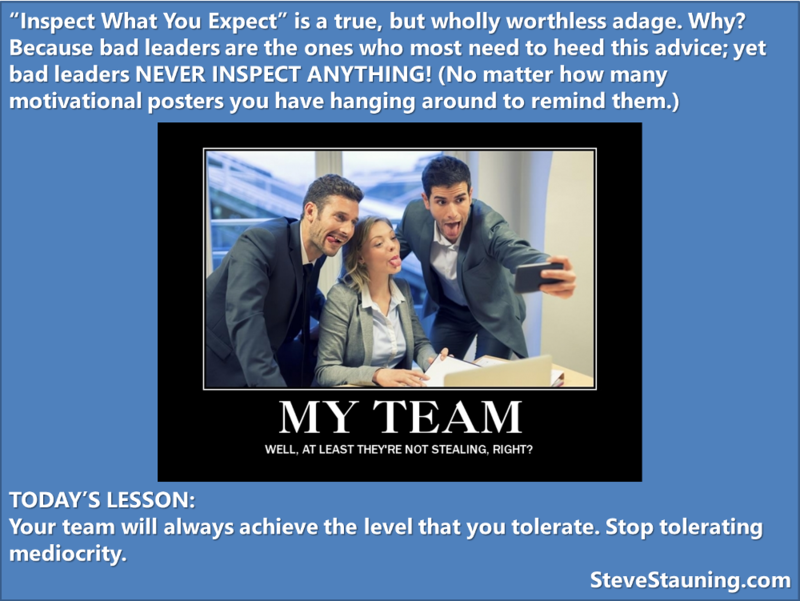 Your team will always achieve the level that you tolerate. Stop tolerating mediocrity. I HATE this saying for the very reason you said: Lousy managers are the ones this is meant for and they still never inspect anything!!!!! Thannk you for this. I am sending it to all my coworkers!